In Oregon's Opal Creek Wilderness you'll discover a breathtaking 30-foot high waterfall. Known locally as Sawmill Falls, this is the culmination of the four-mile Opal Creek Trail, which takes hikers through an ancient, old-grown forest, past abandoned ruins, and into a clearing that features a cascading waterfall and a pool that looks like something out of a watercolor painting. Opal Creek is a little under a 2-hour drive from Portland and makes for a fantastic day trip. There are riverwalks, massive 500-year old trees, and a 4-mile hike to Sawmill Falls. You can also go on a 7 mile loop that will take you upriver to Opal Pool and Jawbone Flats, which is a very cool Depression-era mining camp. The Three Pools are accessed by walking from Willamette National Forest's parking lot. Visitors to the pools include locals, a few tourists who are able to find it, and it's dog-friendly. To get to Opal Creek Wilderness, take Interstate 5 and get off at exit 253 in Salem, then drive about 23 miles along East Santiam Highway 22. At Swiss Village Restaurant turn left onto Little North Fork Road and drive about 15 miles, then go left at Road 2209 and drive 4 miles to the gate. Park and purchase a $5 day pass at the ranger station. 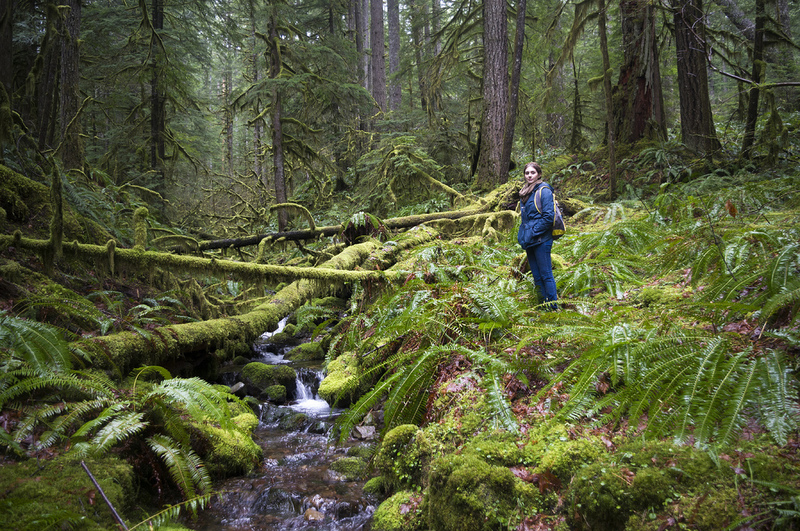 "Opal Creek’s ancient forest, on the edge of the Bull of the Woods Wilderness, was thrust to fame in the 1980s by controversy over Forest Service logging proposals. National television crews and thousands of visitors hiked to Jawbone Flats’ rustic mining camp and scrambled over a rugged “bear trail” to view the endangered old-growth groves towering above this creek’s green pools. By the time Opal Creek finally won Wilderness protection in 1998 an improved path had been built to make the area more hiker-friendly. The new trail shortcuts from the Little North Santiam River to Opal Creek, making possible a loop trip to Opal Pool’s gorge and Jawbone Flats."